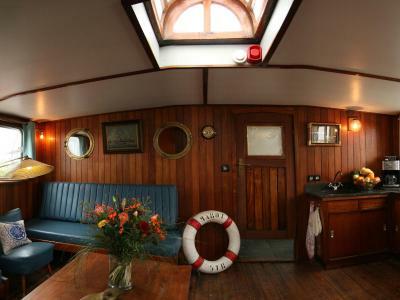 Lock in a great price for Boat 'Opoe Sientje' – rated 8.4 by recent guests! The place is well maintained and unique that made it outstanding!! Plus friendly staff and class A service. 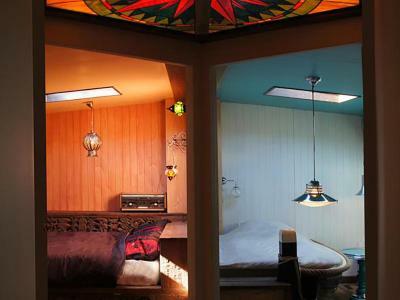 Perfect for a 1-night stay as a couple and 1-2 adults in the apartment upstairs. Location is great, parking right outside. Amazing! 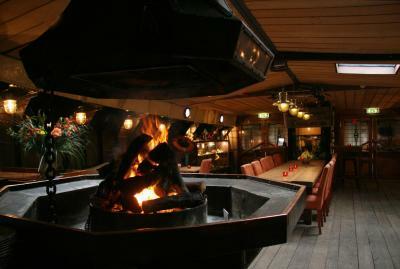 A very cosy atmosphere, inviting for meeting people. 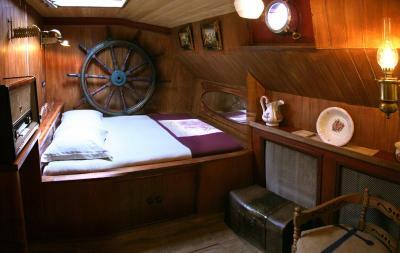 The rooms are clean and comfortable, and have lots of carefully designed details made by ship paraphernalia. The living room, with student-style seatings, lots of historical things to study, an open woodfire at eye's height where you can sit around, a well equipped bar, it all invites for a great social evening. Very atmospheric place to stay. The staff is very sweet and helpful, and the boat is full of personality. The breakfast was very good. A place you won't forget too fast. Great houseboat!! Great people!! Wonderful location😁😁everything was soooooo nice! Opoe Sientje was a great place to stay! It had beautiful views of the river and is a unique and interesting place to stay. The staff was helpful, the breakfast good, and the location excellent. 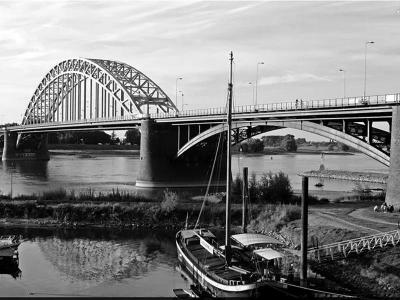 This is a great place to stay when you visit Nijmegen. Location was great, very friendly and helpful staff. We will definitely go there again. It was a great experience to spend the night at a ship. I can only recommend further. This was such a unique experience for us that there is really nothing to compare! We so enjoyed the family like atmosphere on these joined boats. There was entertainment on board the ship on the afternoon and evening of our stay. The location is just great for easy access to the rest of the area. It was surprisingly quiet and comfortable. Great place to stay. Can watch the canal boats go by. 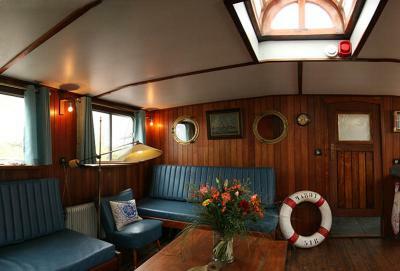 Comfortable room with great books and canal related decor. Great breakfast. In the summer there is a music venue adjacent with live music which was a little funky but fun. 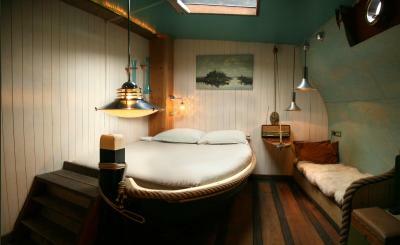 Great experience to stay in a boat hotel like this one. Breakfast was great. I really liked the hotel. 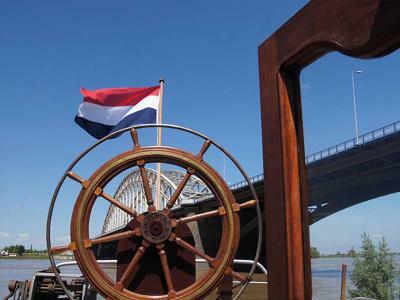 Opoe Sientje is a ship with an on site museum located at the harbor along the river Waal and offers specially themed accommodations. Motorway N325 is 500 feet from the property. 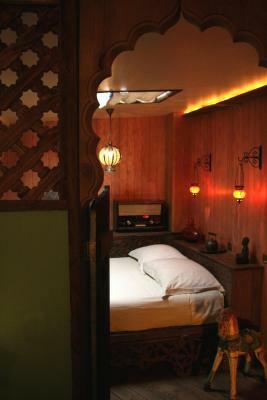 Each room comes with a seating area and a private bathroom with a bath or shower. 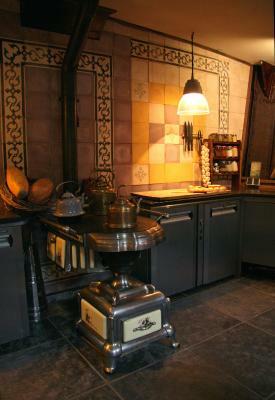 Breakfast is served each morning in the dining area. The train station is 1.2 mi away. National park De Hoge Veluwe is 30 minutes by car. The German city Cleve is a 20-minute drive away. 뀐 Located in the top-rated area in Nijmegen, this property has an excellent location score of 9.2! 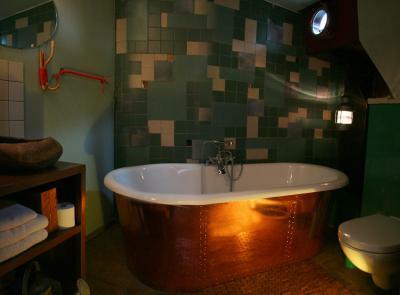 When would you like to stay at Boat 'Opoe Sientje'? 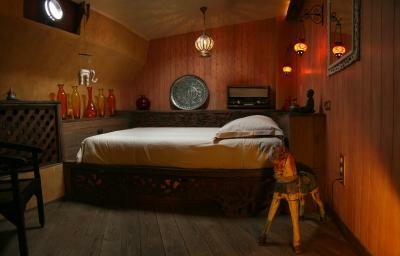 This double room comes with a bed made out of an old boat, a private bathroom with luxurious shower and a seating area. This old nautical styled cabin "Roef" has a separate bedroom with a wardrobe, a bathroom with a bathtub, toilet and cabinet. The living room comes with a bookshelf, kitchen, two comfortable sofa beds and seats. This captain's room has a 1001 night's theme and features a seating area and a hammam bathroom with a luxurious shower and toilet. 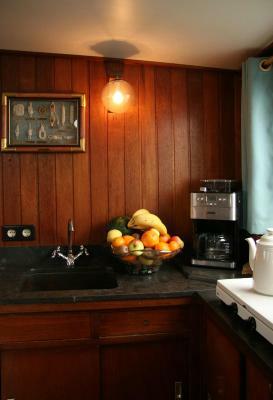 This double room in old nautical style has a luxurious bed, a private bathroom with a bath and a seating area. 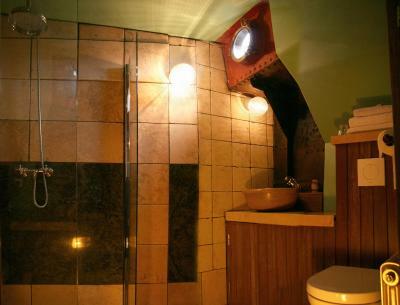 This wooden room "Juffershut" comes with a private bathroom with bath and toilet, and a small seating area. The 5 B&B rooms on the Opoe Sientje all have their own unique atmosphere. 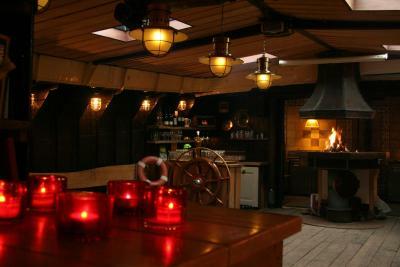 You can also book the entire ship for a dinner or party in the Ship’s Hold with overnight stay. 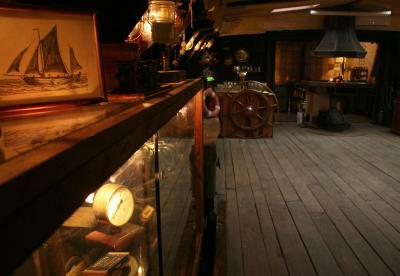 You will find the ship in the ‘Museumhaven’ (Museum Harbour), close to a nature area and the Nijmegen city centre. House Rules Boat 'Opoe Sientje' takes special requests – add in the next step! Debit card Cash Boat &#39;Opoe Sientje&#39; accepts these cards and reserves the right to temporarily hold an amount prior to arrival. Boat 'Opoe Sientje' accepts these cards and reserves the right to temporarily hold an amount prior to arrival. 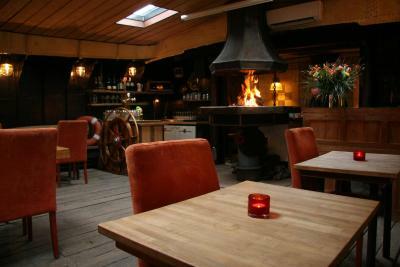 It was an wonderful place, i love the vintage decor, look and feel of the very old boat which it was. The walk to the edge of the boat where the apartment is was quite scary - it';s a very narrow path on the edge of the boat, and as it was covered in frost, we were all worried we'd slip into the freezing water. One of the heaters in the room was not working, and the room isn't properly insulated, so we were quite cold throughout the stay. 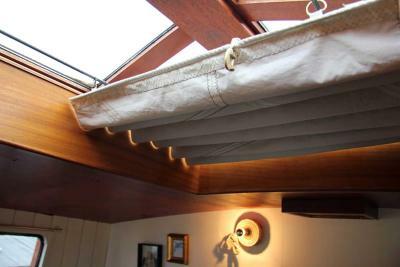 As it is now, the boat's probably a great place to stay in summer, but can be slightly unpleasant at times in winter. The staff was lovely and the sweet was charming. The location was perfect for us, and it seems like a great place to go in summer. Excellent breakfast! We were also allowed to check in early, which was super convenient. Staff very polite and helpful. Owner gave us a complimentary drink after dramas getting there. We enjoyed it so much and were totally satisfied. Very good ambiance. It wasn’t a problem at all for me but accessibility would be difficult for anyone with mobility issues. There is a very narrow walkway to the apartment and steep steps to the restaurant. This is one of the most amazing places I have ever stayed. Beautiful location. Fantastic relaxed atmosphere. Beautiful boat, and super friendly staff & welcome! We prefer harder mattress. A shower arm would be better in the bathroom. Very friendly and helpful staff. The breakfast was really a nice surprise, it was absolutely enough and delicious. The interior was very nice and interesting. There are not parking, AC. Credit card is not acceptable. There is very friendly girl at reception. The room was very warm due to the high temperature, personally not great with heat but it was manageable. 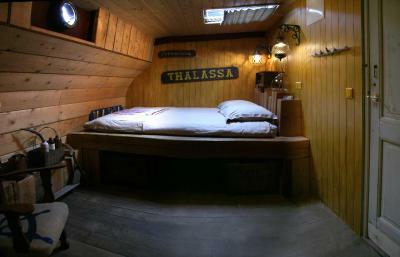 Because the cabins are quite close together and the floorboards are wooden, you can hear people moving around. 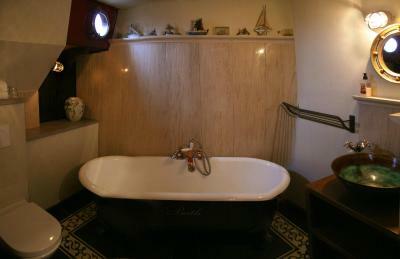 The room was very nicely decorated and nautical themed. Our cabin was pretty spacious. The staff were very friendly and helpful. This is a fabulous location in the heart of Nijmegen and it was perfect for the festival in July. 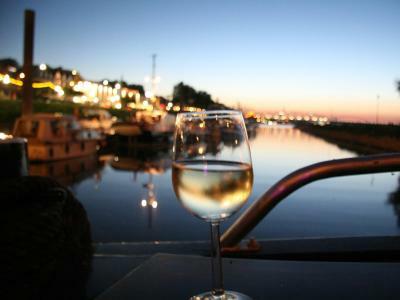 You could sit on the top deck and have a drink while looking onto the river Waal. We liked everything but just a note that some of the bathrooms don't have doors between them and the bedroom. We missed it in the room detail but something to be aware of. We were also there when it was 36 degrees and there were no fans which made sleeping difficult until the late, late hours. Literally everything! The staff were exceptional, we got delayed by 24 hours but they still looked after us. The standout was the breakfast, all fresh, all delicious!!!! Location is perfect for exploring or just relaxing by the river. In summer, i think the fan is needed in the room to cool down. We booked breakfast for 9am and nobody showed up? We had an appointment in Bruges so we had to leave.